You don’t have to love football to participate in the sport of watching football. Though here in Boston, it is a lonely road if you are not on the Patriots bandwagon – especially now that golden boy Tom Brady is back on the field in uniform. And with the regular season kicking off with a Monday Night Football extravaganza televised nationwide – making sure you have a great party spot to watch the hype and the hope is vitally important. The Greatest Bar 262 Friend St., Boston – If your idea of going out to catch the game is equal to how the game should be played – Go Big or Go Home… then The Greatest Bar should be your football headquarters. 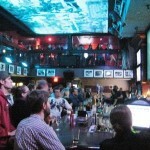 Boasting the largest HD screen in the city, the greatest bar is not a modest place for quiet reflection. It is as loud and raucous as any celebration of football should be. And yes, that is a huge TV screen on the ceiling. 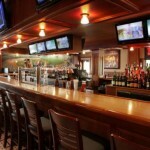 The Fours 166 Canal St., Boston – The Fours was once named The #1 Sports Bar in America by Sports Illustrated. And I think I know why. Yes – you can watch the game. 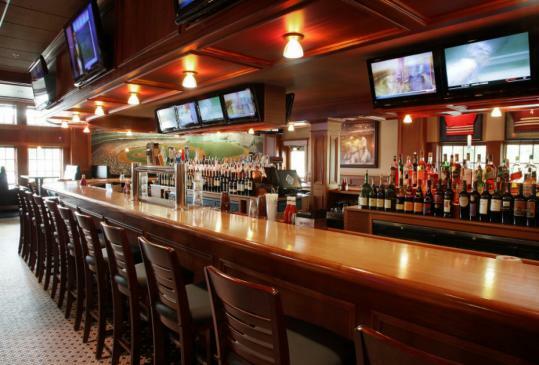 Any sports bar can provide you with a TV to see a game. But the food at The Fours is not your standard pub (crap) fare. It has really good fancy but filling food. And the layout inside feels a wee bit like the inside of Cheers – which always can add to a sense of revelry for Bostonians and tourists alike (except Yankees fans, of course). Personally, I am a fan of any sports bar that can pull a good Guinness, and The Fours certainly delivers. 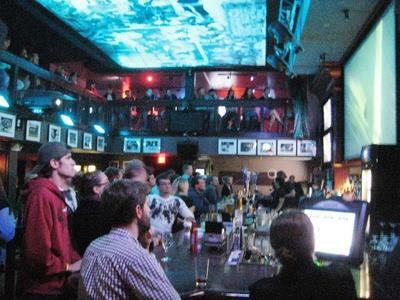 Game On 82 Lansdowne St., Boston – Game On is all about the game – and while it is carved out of the side of Fenway Park, the myriad of screens nearly overlapping in this space still show a football game crystal clear. This Monday, for the season opener – the party begins at 5:30PM. Just be sure not to pre-game so much that you never even see the opening kick. With 90 HD TVs and an almost guaranteed packed crowd, there should be plenty of hype to keep you up. And if you can’t get in, there are even sidewalk facing TVs for the crowd outside. 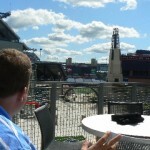 CBS Scene Patriot Place, Foxboro – Fanatical fans shut out of the stadium use to crowd the parking lot for some serious tailgating action, pre-Patriot Place. While many still take part in barbequing sausages in the back of their pick up trucks for people they just met, others are seeking new heights of excitement as non-ticket holders. 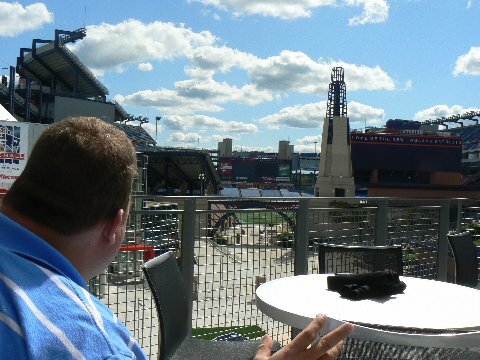 CBS Scene, if you are able to grab a spot rooftop, is probably the next best thing to being there, with a b-line view of the field from the roofdeck. In the warm glow of the early season seats are hard to come by, but come the winter chill you’ll find the more die-hard fans by your side, shivering, cheering (hopefully) and grabbing another brew to stay warm. Home Sweet Home – And of course, I can’t discount the value of a living room based party with friends. When else do you get a legitimate excuse to dive face first into a bowl of cheese curls and eat your way out? Let’s hope that just as you are licking the last smidge of neon orange off your finger tips, a cheer erupts as win number one is complete.